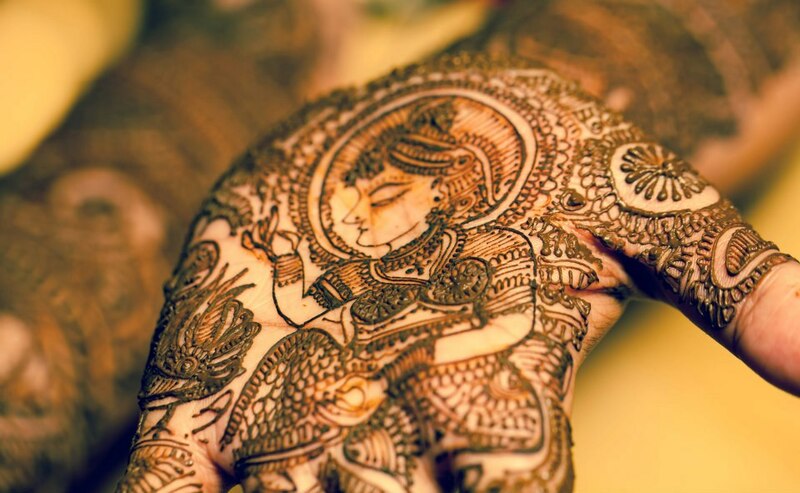 Mehndi has been a quintessential part of the Indian traditional events for a long time now. 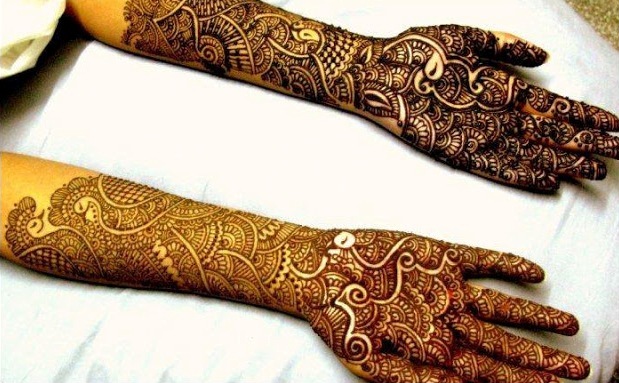 Be it weddings, karva chauth, godh bharai or any other family functions, mehndi application has found a place for itself as one of the most important customs. Like the different traditions prevailing in different parts of India, the Mehndi art has also been adapted by various states based on their culture and traditions. The Mehndi is applied in various styles like the Arabic, animal, bird and floral motifs, bridal, paisley and various other designs. 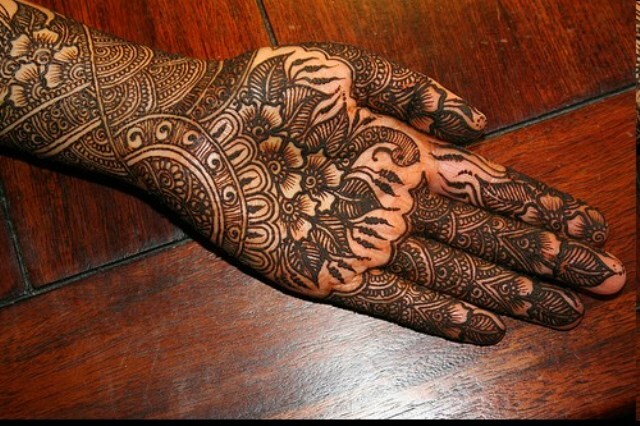 Of them, one peculiar style of Mehndi that stands out from the rest is the Rajasthani Mehndi art. Rajasthan is known for its rich culture and heritage, which is left untouched for decades, despite the ongoing globalization and culture shift. Rajasthani people embrace their dressing, cuisine, customs and way of life. The Marwari weddings are known for their pomp and grandeur. Each of the customs are well planned and have distinct symbolisms and meanings behind each of the ritual. The Mehndi ceremony too, has its own importance and is said to be a grand affair. 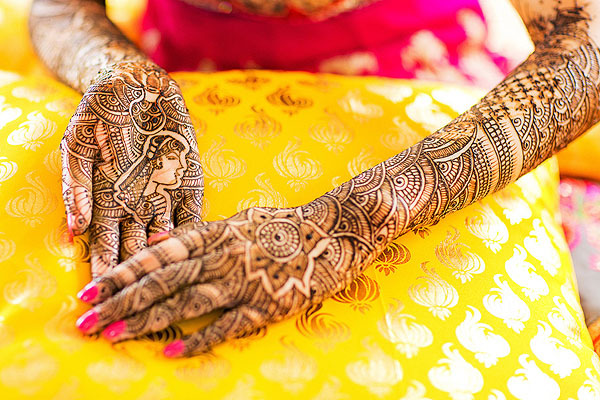 Rajasthani Mehndi, also known as the Marwari Mehndi is one of the widely known design cultures of the Henna body art. Rajasthani mehndi is mostly known for its intricacies and designs that fill the hands and feet without leaving any gaps. These designs have heavy designs and motifs that reflect the traditional Rajasthani culture. The Mehndi art of Rajasthan is characterized by closely-knit designs, involving a lot of peacock and mango motifs. Filler designs constitute a main part of Rajasthani Mehndi and is mostly used in the traditional designs. The Dulha and Dulhan designs are often deemed as the quintessential marwari design. These involve the bride and groom in the traditional attires, surrounded by the designs of dholak, ghair ghoomars, peacock motifs, floral and paisley designs, fillers, and other elements that symbolize the wedding or the occasion for which the respective women are applying mehndi on their hands. The palms are almost always fully covered with the designs, and most of the times, the fingers are also covered in the design and the nails with the mehndi paste. 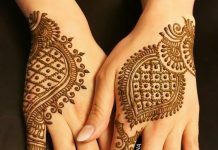 However, there are also some mehndi patterns which are applied without filling the fingers. But these are quite rare. Coming to the feet, Marwari mehndi designs follow the same pattern as the ones applied on feet. Intricate feet designs with motifs and fillers, that can often get up to the ankle or calf length are the specialty of the mehndi patterns. 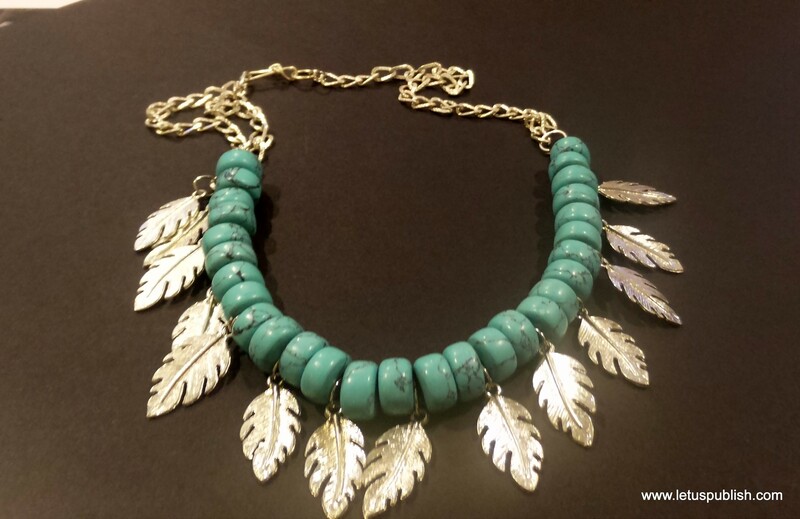 Sometimes, these designs that are just confined to the chain and anklet designs that give a different yet elegant look. 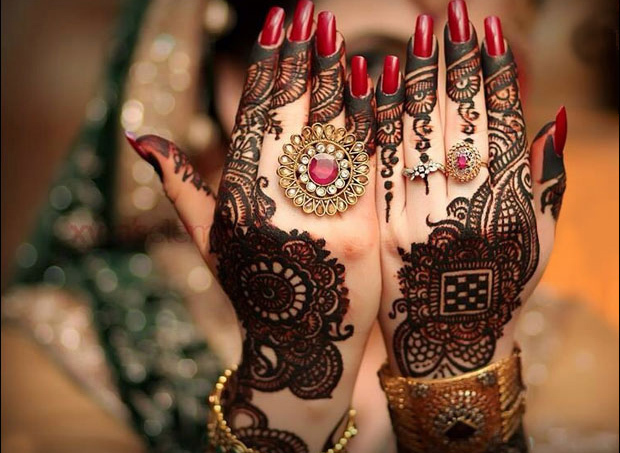 Another important thing about the Marwari mehndi designs is that the patterns are mostly mirrored, that is, the design on the right palm is complemented by the left, which is the exact mirror of the design on the hand. This gives the hands an even and a classy look. The brilliant and beautiful designing that involves an equally challenging and difficult form of paste application, the Mehndi art of Rajasthani culture is widely sought after, even to this day, especially during weddings and other high-profile traditional events. 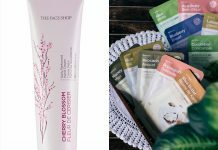 Thanks for sharing great article, written with beautiful words. 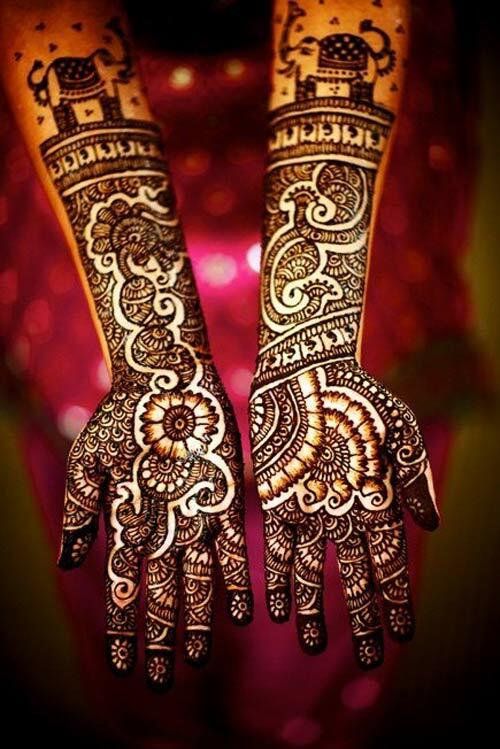 All Mehendi designs are very charming…. Great work done…. Thanks once again.